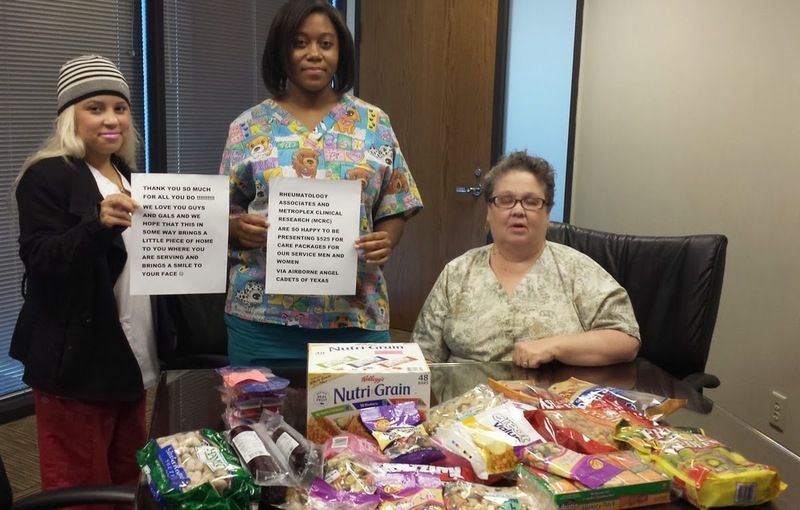 We thank the generous staff at Rheumatology Associates (Dallas, TX area) for their 3-months of Blue Jean Friday collections of financial and product donations for our care packages for U.S. troops overseas. The much needed donations will definitely help with our Christmas care packages for American troops in Afghanistan. The product donations include Nutri-Grain bars, peanuts, crackers, dried fruit, beef jerky and other great snack and toiletry items that the troops will love. The message the ladies are holding up (click on image to enlarge) says, "Thank you so much for all you do !!!!!!!! We love you guys and gals and we hope that this in some way brings a little piece of home to you where you are serving and brings a smile to your face. 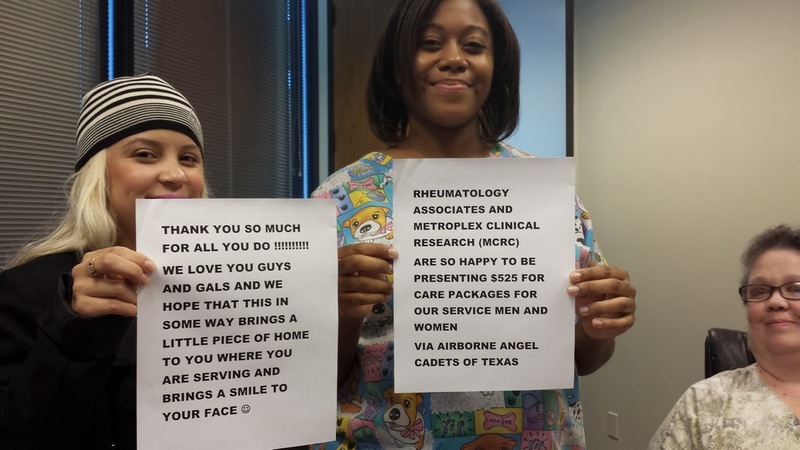 Rheumatology Associates and Metroplex Clinical Research (MCRC) are so happy to be presenting $525 for care packages for our service men and women via Airborne Angel Cadets of Texas."